Monarch Air Group provides private air charter in Palm Springs, CA. Our clients benefit from top-notch service, unrelenting dedication to safety, wide selection of aircraft, and years of experience in chartering private jets. To obtain a free quote, please use our online quoting tool provided below, or call toll free 1-877-281-3051. Monarch Air Group provides private jet charter flights in and out of Palm Springs, California, USA. Located in the Coachella Valley, a desert city, Palm Springs, has always been a place for world leaders, celebrities, and business and leisure travelers. Nicknamed “America’s Desert Playground”, Palm Springs has a mixed Mexican, Western, and Indian cultures, rich heritage, excellent entertainment and a modern business district. The city offers a great variety of outdoor activities including hiking, horseback riding, rock climbing, cross-country skiing, golf and tennis. It is home to the Palm Springs Aerial Tramway, the Fabulous Palm Springs Follies, the Living Desert Zoo&Gardens, the Village Green Heritage Center, the Palm Springs Art Museum, and many others. There are many special events and great festivals like Bob Hope ChryslerClassic, Festival of Native Film&Culture, Palm Springs International Film Festival, Smooth Jazz Festival, Coachella Music Fest, and some others. 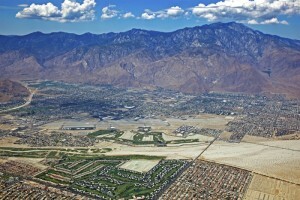 Palm Springs is situated on the breathtaking mountains San Jacinto and attracts tourists from all parts of the world.